Travel is getting tech savvy and the mobile devices boom has enabled the traveller to carry the world in his/her pocket. Now your mobile device helps you call, stay connected socially and help you find your way on the move. 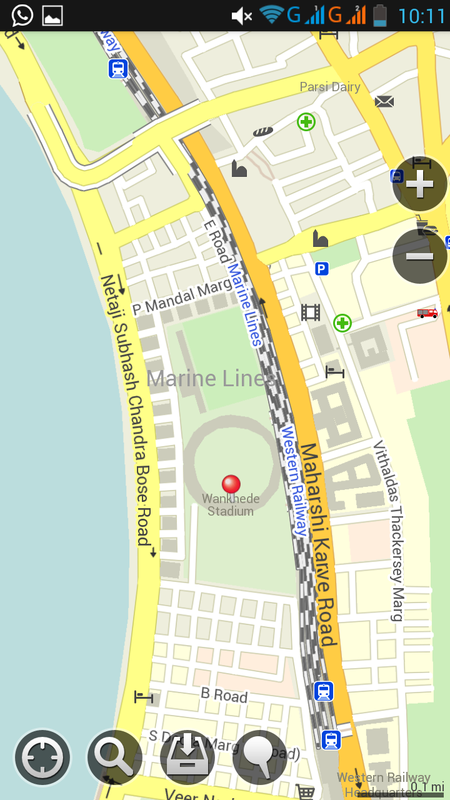 I love twitter and I happened to come across the MapsWithMe travel app during one of those fun events like #ttot. I’m always curious about new technology and I was drawn into checking out their website. 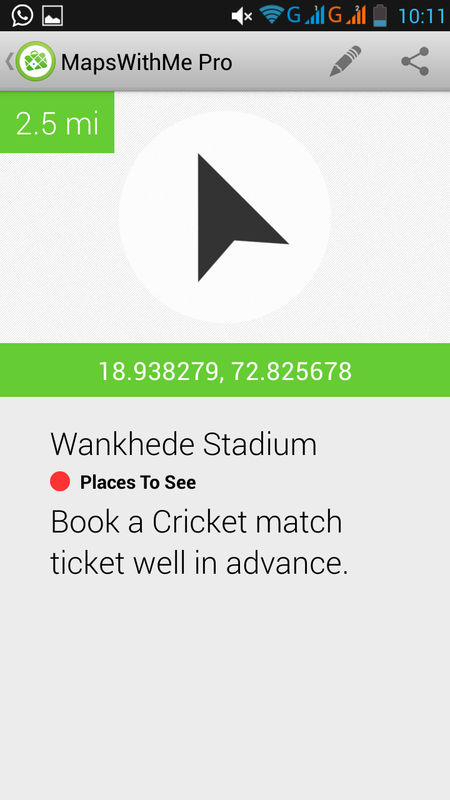 Two words, offline maps & no-grey-screen maps came out glaringly. I downloaded the app and I was seriously impressed, so I decided to get in touch with them and review their product. MapsWithMe have been very kind to have offered me their Pro version. Here’s what I liked about the product. So, when you download the travel app and launch it for the first time, it does a small download to get the world map in place. Once that’s done you are ready to kick off. The user interface is very intuitive. 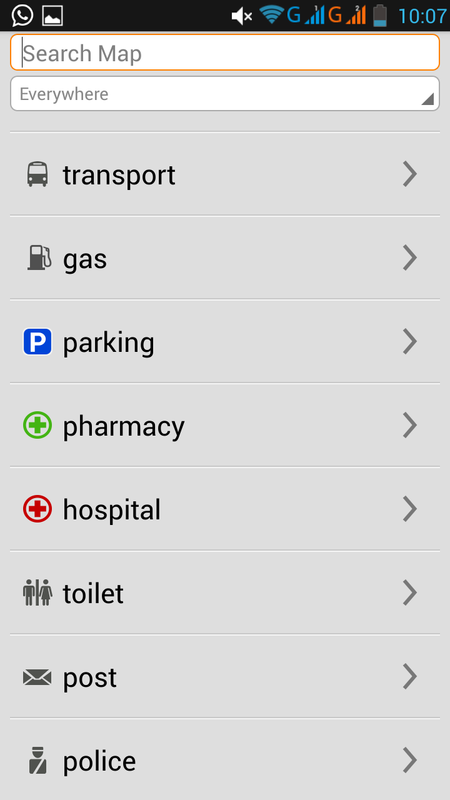 You can get your way around all its features very easily and usually within a tap of a button. When you selected the region you want to explore or plan to travel to, just download the detailed map of that place. This is great for those who love to research and know about their destination well in advance and it also lets the whimsical people find places that fit their fancy. I love to plan my trips, even to the exact minute if possible and I really would find this handy. The biggest positive in all of this is that it is completely offline. Once you’ve downloaded the detailed map for a region/country you can search for a little food stall right at the corner of a street offline! The maps are rich in details. 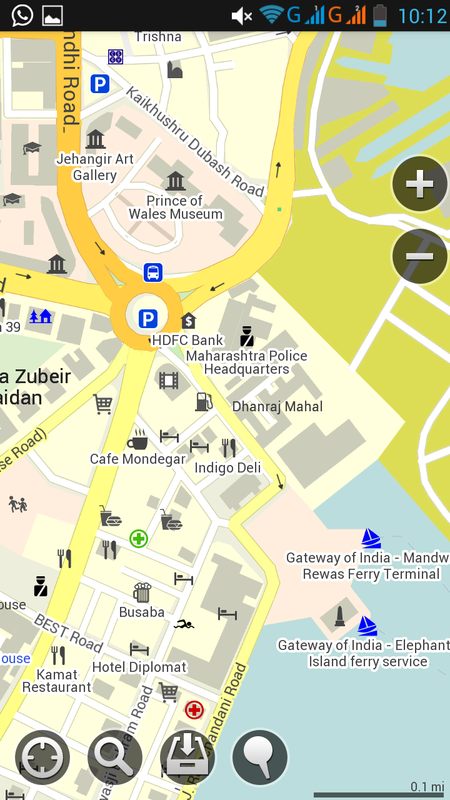 You can search for food joints, shops, hotels, sights, entertainment, atms, and even transportation individually or see them simply overlaid on to the map. The GPS constantly gives you the correct direction and the distance from your marked destination. 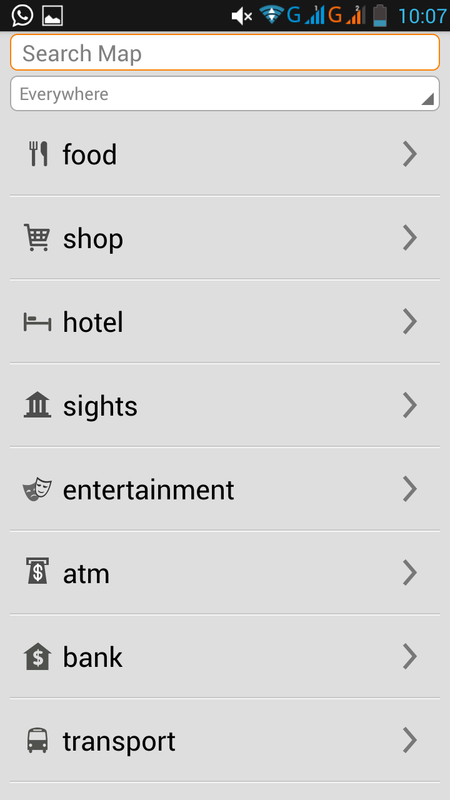 Another helpful feature in this travel app is the note tool. You can pin down locations that you want to visit and add a note to it. It’s a handy tool especially when you are unsure of how you plan to spend your day while travelling. The biggest pro of this app is that it works offline. 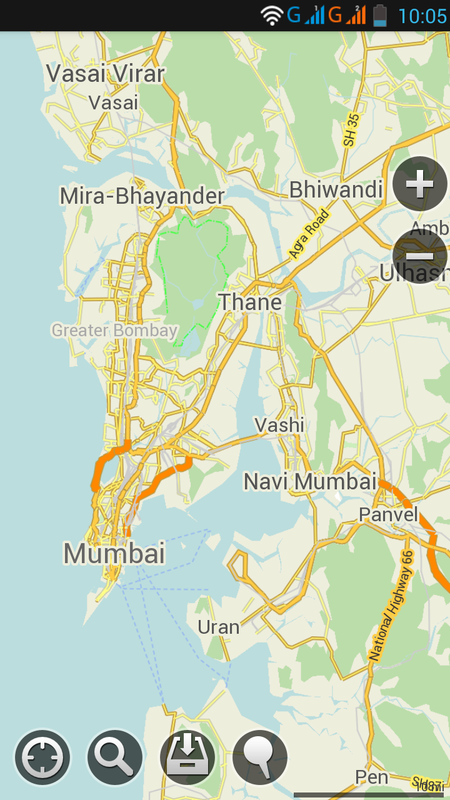 MapsWithMe gives a great viewing experience to the user as it doesn’t get those grey patches you typically see when you zoom into a map online. I downloaded the detailed map for India and I was impressed by the quality of information that the maps gave. I’d surely recommend this app for digital nomads and frequent travellers. Do leave your thoughts on this review in the comments below! I need all of the help with maps I can get! I’ll share this on my FB later tonight as I am sure loads of people will love this review. I was a big fan of this app before I discovered another cool app also working with offline maps, it’s called Galileo maps. 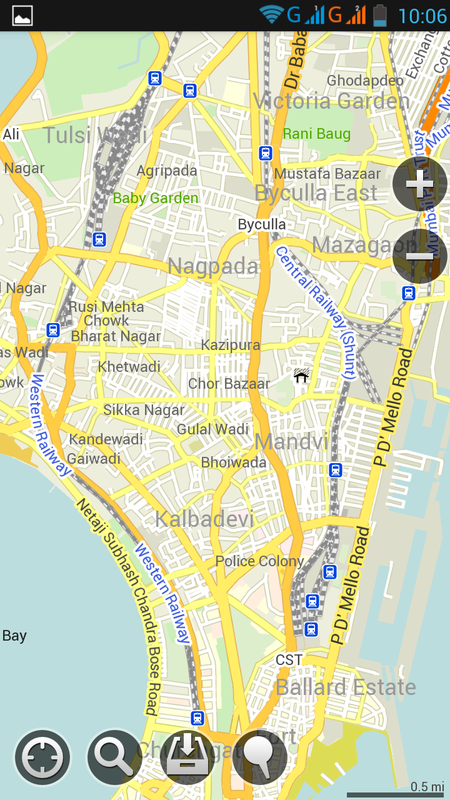 Even more features packed into this app – why don’t you compare these two map apps? Hi James! Thanks for writing in. I really appreciate your feedback and I’ll sure see if I can connect with them. Well, let’s be honest. It’s not THAT detailed. MapsWithMe cannot be blamed for this, since their data is pulled from OSM, but still, finding small food stalls is really pushing it. Only you can’t. Well, in theory you are right, but in practice I’ve found contributing to OSM needlessly complicated. It’s not like “oh there’s a public toilet, let’s add it… *tap* and done.” Oh no sir, it’s a ‘bit’ more than just that. Besides, you can’t do it right from within MapsWithMe… Now THAT would be one hell of a feature. If it were easy and painless. Thanks for writing in. You surely did spot a mistake in the article. I’ve promptly corrected it. Thank you. As regards details, well I meant it more as an expression and I did find it pretty detailed. Matter of personal opinion I guess. I used this app when we went to Morocco, Spain, Portugal, France and England. BEST ever, never lost. Detailed and accurate to the metre. I cannot speak of this app enough. Glad you are one of the enlightened ones. Hello Gary! I’m glad you agree with me on the awesomeness of this app. It’s worth the money & finally tech is helping regular travelers! Thanks Sheetal! Appreciate your comment.